Are you looking for short or long term storage? For furniture, possessions, large items or for business purposes? 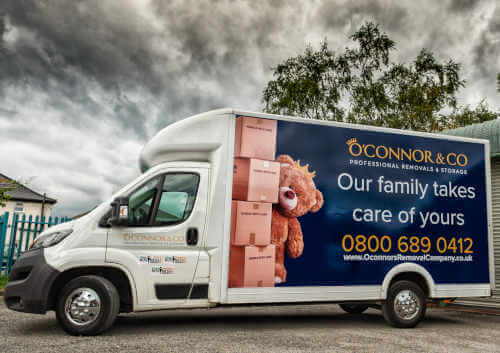 Whether you require storage for a single item or you are moving and need to store all your furniture and possessions, for a short or long term period, O’Connor & Co have everything covered. You can rest assured that your furniture and/or possessions will be well cared for and securely stored. Our flexible and affordable solutions are suitable for personal and business customers alike. You are only charged for the time you use the storage facility and there are no minimum periods. We will collect your items and securely store them for you, then deliver them back to you when required. Our secure warehouse compound is protected with infrared CCTV and alerted with fast response technology. Whatever your requirements, give us a call to discuss a solution for your needs and get a no obligation quote, you can rely on us to keep your possessions safe and secure. Whether you are moving house, renovating, moving out for a short while or just need that extra room in your home we can help. There are no long-term commitments and items can be delivered back to you when required. Our friendly team are always on hand to assist. At O’Connor & Co we pride ourselves on the quality of our customer service, so you can rest assured that we will take great care of your possessions. Ideal for students who need somewhere to keep their belongings during the holidays or if you are taking a break from university or college.